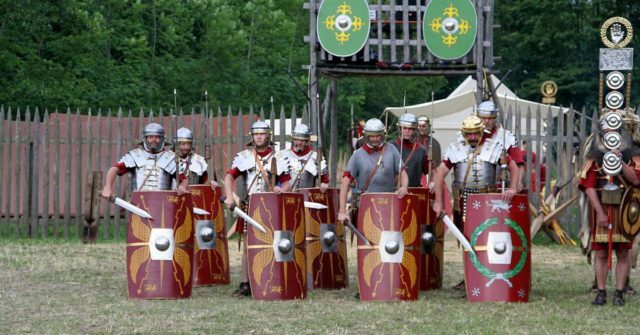 The Roman army is often remembered as a highly professional force, with legionaries in segmented armour organised into centuries for close order combat. In reality, the Roman army changed a lot over the many years it dominated Europe and the Middle East. Their evolution can be divided into three broad phases – the Republican army, the reformed professional army that served the late republic and early emperors, and the army of the later empire. The first significant shift in the way this army fought came when they adopted hoplite tactics, as used by Greek colonists in Italy. They equipped themselves with shields, long spears and body armour in the form of bronze or hardened leather cuirasses. 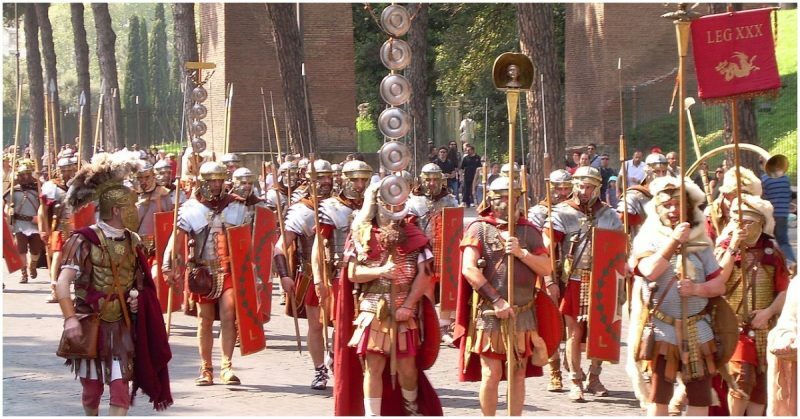 Forming phalanxes, they fought in the sort of tight formations that would become the hallmark of the Roman legions. The growing number of men fighting in these phalanxes gave great political influence to the farmer militiamen, who became part of the fighting elite. The sixth century BC king Servius Tullius was credited with first organising this army into five classes of soldiers, each carrying equipment based on their wealth, and creating units of a standard size from these men. By the 3rd century BC, this had evolved into the system Polybius recorded a century later. In this, the core of the army were the legions, each consisting of 30 maniples of 60 or 120 men, with two centuries in a maniple. They fought in three lines of maniples with offset gaps between them, the units of youngest soldiers at the front. Most soldiers carried an oval shield, a sword called a gladius, and two javelins, though the rear formations still carried long spear. These men were equipped by the army, rather than bringing their own weapons, and permanent service meant they gained more training, experience and continuity of command. Officers remained aristocrats, whose careers combined war and politics. At first these soldiers wore chain mail, though around the 1st Century AD they began wearing segmented armour which reduced flexibility in favour of greater protection. Helmets developed in quality and design over time, but the men were always equipped with plate armour helmets that included neck and cheek protection. Most carried a scutum – a rectangular shield that curved back around the soldier. This provided maximum protection and allowed a tightly packed legion to form a solid wall of shields in the face of attacks. The increasing prominence of cavalry was one of several changes that made the Roman armies look more like the Dark Age warbands that would follow. They carried long-bladed spatha swords and round shields, rather than the gladius and pilum. Segmented armour was now largely a thing of the past.